This follows from the previous post, describing the strategies used by Robert Hooke in the 1660s for understanding snowflakes. As I mentioned there, Hooke thought that snowflakes were the ruins of once-perfect forms, having suffered much from violent winds on their way down to the ground. A number of people moving in Hooke’s circle – and those who came before and influenced it – were intrigued by another set of ruins. These were the ruins making up Stonehenge. We can find some fascinating parallels between the drawings and interpretative moves that they used to try to understand what that famous stone circle had once looked like, and those use by Hooke on snowflakes. One of the most influential seventeenth-century interpretations of Stonehenge was put together by the famous architect Inigo Jones. He is remembered today as England’s first major architect in the classical style: you can see the Banqueting House that he designed for Charles I on Whitehall. Charles was later executed in front of that very building. 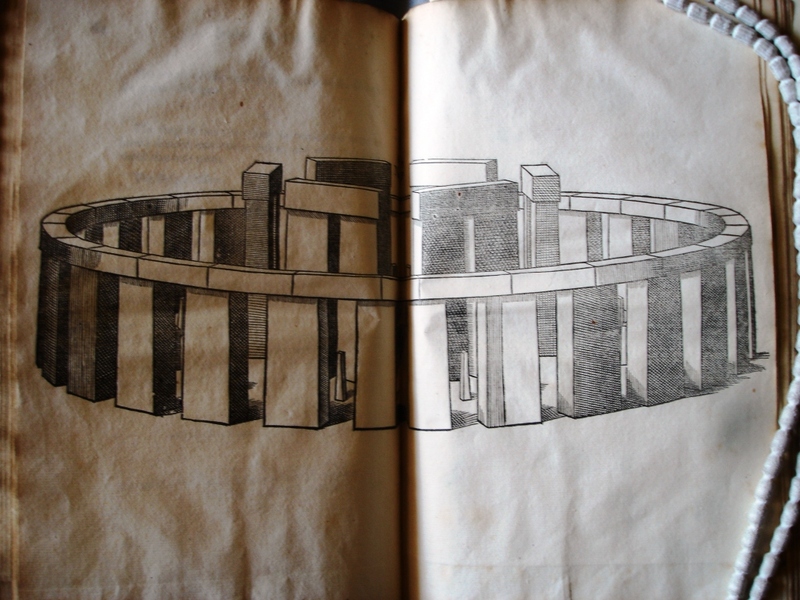 Plate 2 from Inigo Jones, The most notable Antiquity of Great Britain Vulgarly called STONE-HENGE on Salisbury Plain. Restored by INIGO JONES Esquire, Architect Generall to the late KING, edited by John Webb (London, 1655). 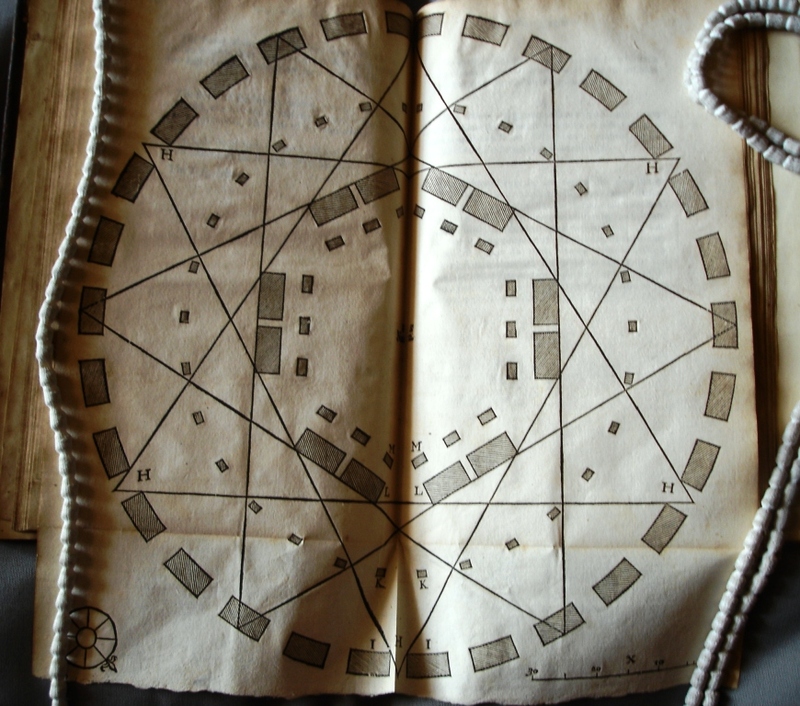 In other words, Jones’s own reconstruction of the geometric plan of Stonehenge proved that it had been designed by a Roman architect – just the sort of architect who would design ground plans based on regular, geometrical forms such as squares, rectangles, hemispheres, hexagons and so on. This in turn validated Jones’s choice of drawing. Since the building had been built by Roman architects, it made sense to represent Stonehenge using just the sort of drawing – a ground plan – used by all Roman architects to begin their designs. Such a drawing would reveal much more about the intentions of the designer than one that focused on the appearance of individual stones or some other aspect of Stonehenge. Unsurprisingly, Jones’s interpretation didn’t gain much traction in the second half of the century. But Hooke’s contemporaries, including Isaac Newton and the antiquary John Aubrey, kept up his interest in Stonehenge and were much influenced by his ideas. Newton, for example, rejected the idea that the plan of the monument was hexagonal – but only to suggest that the plan was in fact heptagonal. This seven-sided configuration also indicated the work of ancient architects who designed using plans. However, it suggested a rather different meaning and possibly different builders too. 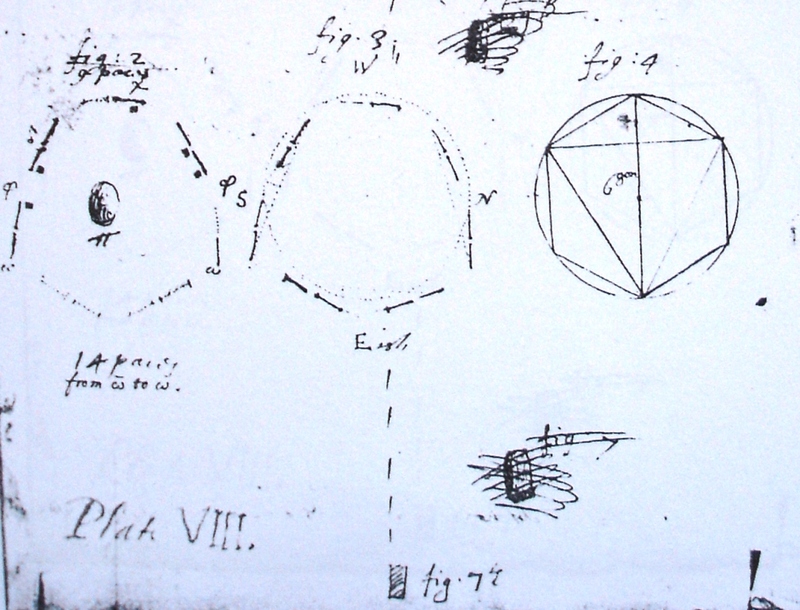 Newton ventured the possibility that the designers had opted for seven sides because they wanted to indicate that there were seven planets in orbit around the sun. Perhaps, he suggested, the builders of Stonehenge had been skilled architects who sought to embed astronomical knowledge in the plans of their buildings. You can see how Aubrey’s drawings of the outline of the inner circle of Stonehenge compare very poorly to the hexagon drawn on the right. Even the heptagons that he manages to draw are rather uneven. By rejecting Jones’s ‘hexagon’ theory, Aubrey made the work of interpreting Stonehenge’s design much harder. No longer could he refer to ancient architectural manuals in order to search out the meanings of certain forms and proportions. Instead, he had to trawl through a mass of evidence that we would now see as archaeological and ethnographic, trying to tease out meaning from sources that did not reveal it easily. Jones, on the other hand, tapped into a powerful design paradigm, confident in the assumption that his drawings revealed the most meaningful and revealing aspects of Stonehenge’s design. Aubrey also thought that Stonehenge had been designed – but he suspected that its meaning would be harder to uncover, and that it might not be so easily revealed in a series of formal drawings. There are here, I think, many fascinating parallels to the work that Hooke did in trying to reveal the design of snowflakes. Like the restorers of Stonehenge, he thought that his samples were ruined, and that he had to work in order to find out what they had once been like. He tried to represent them in a way that might reveal the most important aspects of their form, and he sought out comparisons that might help inform the representations he had made. In fact, naturalists like Hooke often found themselves dealing with ruined samples of nature, whether bruised and battered animal skins or dried up bits of plant. Very often they found themselves having to describe not what they saw in front of them, but instead what that thing had once been like. And to do this they used, as we will see in the third post of this series, very similar resources to those employed by the restorers of Stonehenge. In part, this was because of one very important similarity that they perceived between buildings like Stonehenge and natural productions like snowflakes. They thought that all of these things had been designed by an intelligent agent, and that it made sense to interpret them in ways that would reveal the operations of that agent. They believed that natural things and works of art alike could be made to reveal principles of design. N.B. In NO WAY is this an endorsement of ‘intelligent design’ theories, which have no place in modern discussions of nature. I am simply discussing ideas held by seventeenth century naturalists and antiquarians. Next Next post: Do Moles Really Have Eyes?